SEATTLE, WA – Chris Evans and Chris Pratt fulfilled their Super Bowl bet and promise when they visited Seattle Children’s Hospital on Saturday, March 7th. 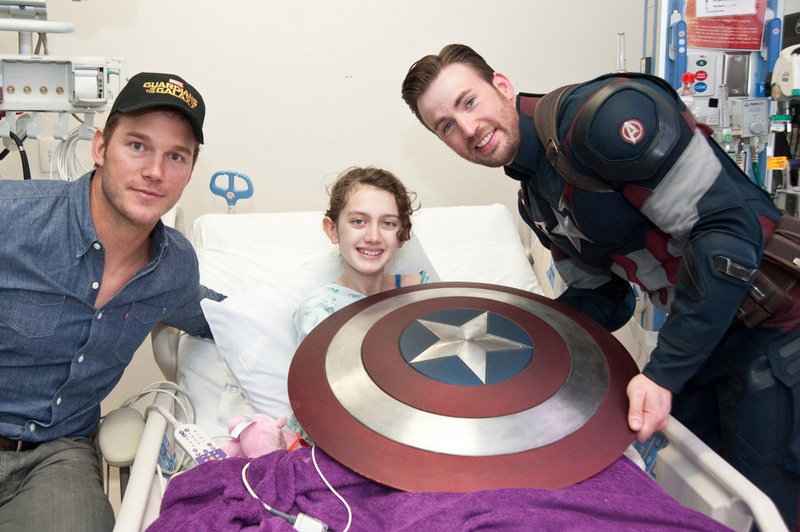 Chris Pratt and Chris Evans visit a patient at Seattle Children’s Hospital. The Marvel heroes made a Super Bowl bet via Twitter where each actor stated that if his team lost the Super Bowl, he would visit a children’s hospital in the winning team’s city, dressed as his Marvel character. Chris Pratt was rooting for the Seattle Seahawks, while Chris Evans was cheering on the New England Patriots. Even though the Patriots won, both actors decided to visit both hospitals. 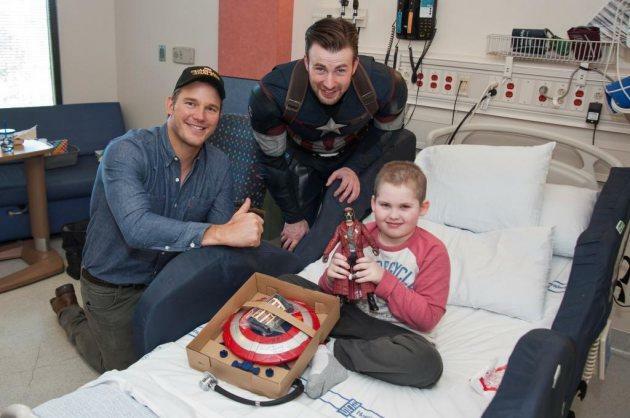 Pratt visited Boston Children’s Hospital in February dressed as Star-Lord, accompanied by Evans. On March 7th, the team visited Seattle Children’s Hospital with Evans dressed as Captain America and Pratt as himself. After the visit, Evans tweeted, “AMAZING day at @seattlechildren with @prattprattpratt. Chris Evans dressed up as Captain America for the patients at Seattle Children’s Hospital on Saturday, March 7.